Hello there! What a week as I had fever for the past 2 days. I'm still feeling under the weather today but I can't stop my self from blogging. 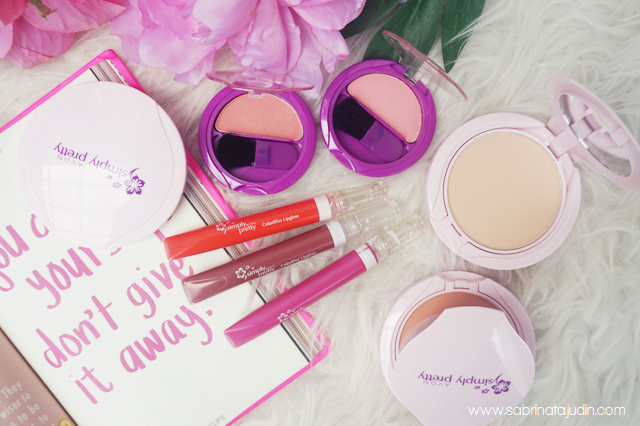 Today I will be featuring the 3rd AVON Simply Pretty Collection called the Sun-Kissed Beauty Collection. Consist of a blusher, lip gloss, & a compact powder. This collection feature a sweet, soft colors that enhances your natural beauty. Their products features a added SPF to keep you protected when you are expose to day light. 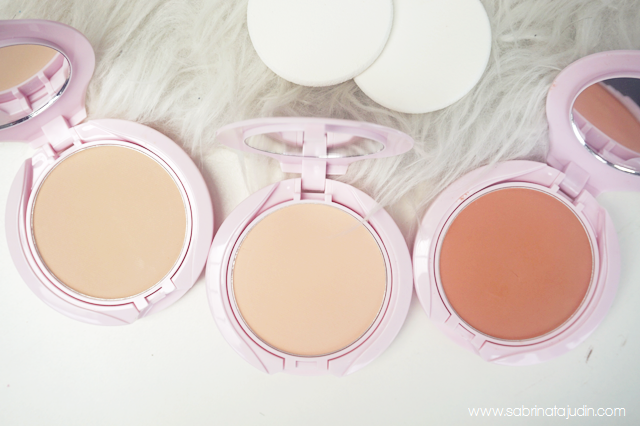 The first product are these Smooth and White Whitening Pressed Powder with SPF 14. Comes in 3 shades to choose from. Features a light weight coverage that helps to holds up shine and give you a clean fresh feeling when touching up. Comes with a sponge puff in the case and a mirror for your convenient. These AVON Pretty Blush comes in 3 shades if I am not mistaken. The one I got are Blooming Peach, a matte peach tone with pink undertone blush and another one is Rosy Cheek which is a darker peach with pink undertone. 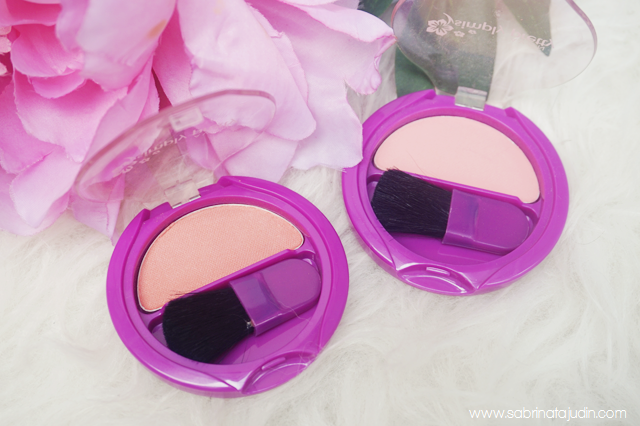 Both of these blush comes with a brush that I might not use. Its pretty small to give you a nice blended blush on your cheeks. 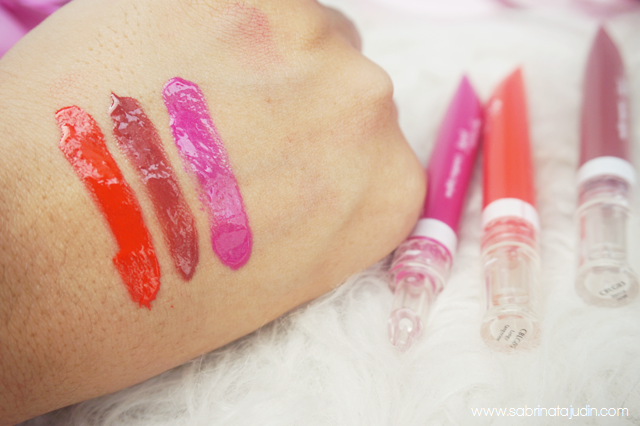 The last one is the AVON Colorbliss Lipgloss that comes in a squeeze tube. It has a very jelly like texture with good pigmentation and color payoff. Pretty glossy to my liking but its looks very juicy on the lips. Comes in 3 shades without any name labeled. From left to right the shades are, fiery red, a mauve red with brown undertone and a pink with a hint of fuchsia.